A woman who was reportedly trapped inside and seen 'screaming and bibbing the horn' later died in hospital at the incident in Chatham in Kent. 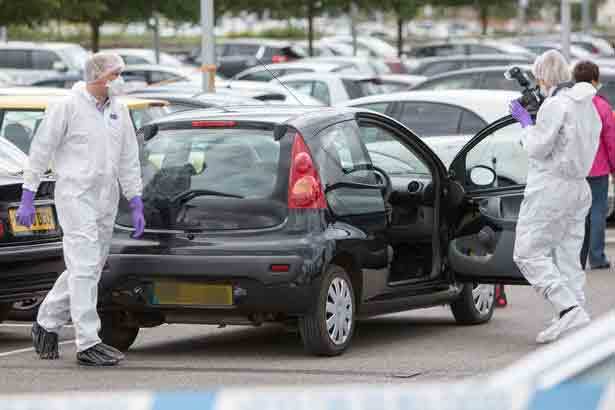 These photos show a blood-spattered car after a woman's throat was allegedly sliced open by a knifeman in a shopping centre car park in broad daylight. 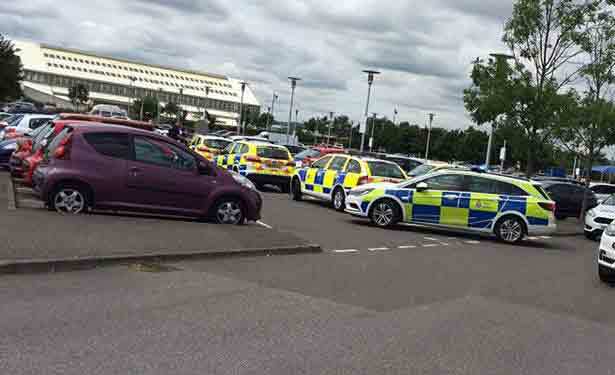 The victim died at the scene in Chatham, Kent, police confirmed this afternoon. 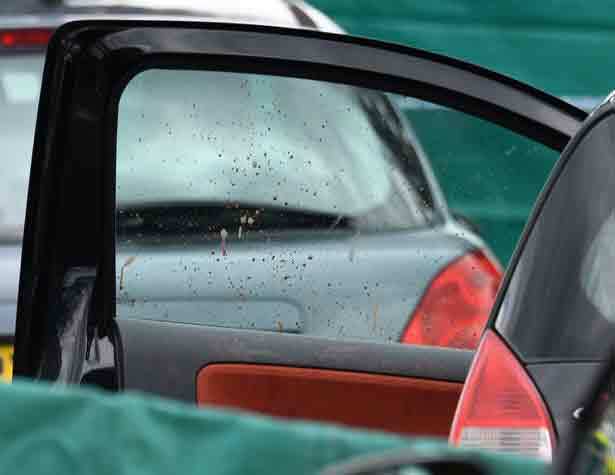 Images from the scene show specs of blood covering one of the vehicle's windows following the horrifying incident. 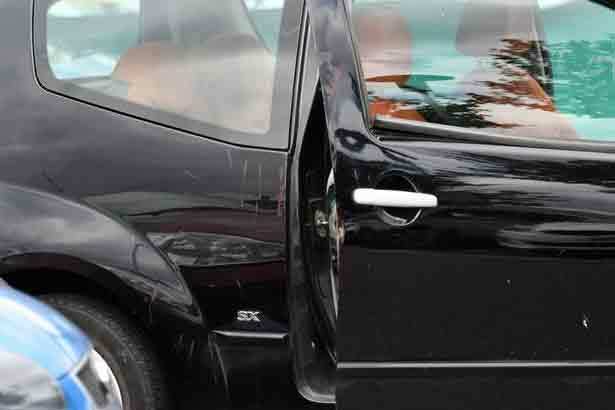 A bloodied handprint can also be seen on the door after reports that the woman was "screaming and bibbing the horn" as she was attacked inside a vehicle. The victim, believed to be aged in her 20s, died at the scene after suffering "injuries consistent with a stabbing", police said. Her next of kin has been informed of her death. 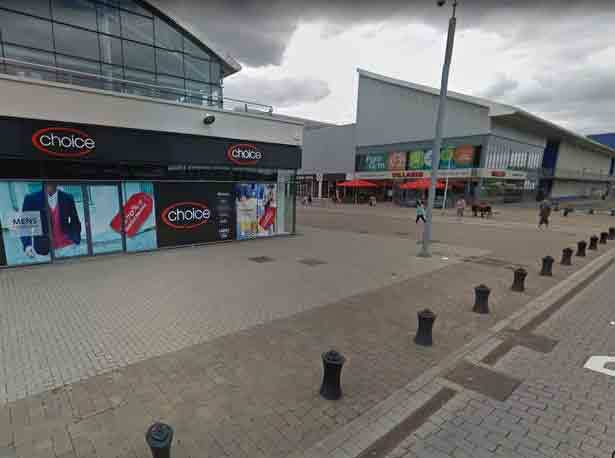 A 25-year-old man was arrested on suspicion of murder at the scene of the incident, which saw Dockside outlet centre placed on lockdown. The woman is thought to have been sitting in the passenger seat of a black Citroen C1 when she was allegedly attacked by a man. One witness said there was lots of blood and people could be heard shouting, while another said bystanders were "quite panicked" amid terrorism fears. Kent Police confirmed earlier they had been called to a report of a "serious assault". They said the incident was not being treated as terror-related. In a later statement, the force confirmed the female victim had died and that a man from Rochester had been arrested at the scene on suspicion of murder. The suspect and the victim are believed to be known to each other, it said. 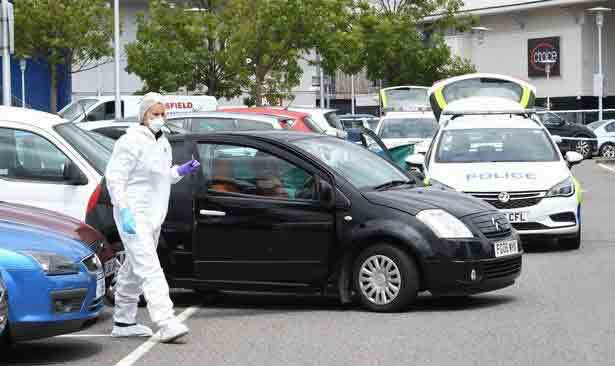 It is claimed that the suspect shut the woman in the car near the centre's Odeon cinema, before allegedly attacking her at around 11am. It is thought the incident was domestic, although this remains unconfirmed. One eyewitness, Ash Tucker, claimed that the woman's alleged attacker sat in the car, covered in blood and not looking "phased", after the incident. He said: "I was just pulling into Dockside Chatham, 10 police cars race past with flashing lights, as I've locked the door I hear shouting and commotion. The next bay opposite to me there's a man covered in blood being restrained by officers." He claimed the victim's throat had been "cut". Another man, who did not want to be named, said: "We came out of the gym and the place was sealed off. We have heard someone has been stabbed." 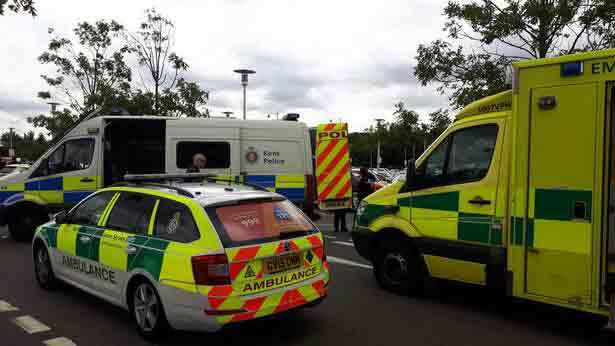 Eyewitness Rosie Bell, 25, was arriving at the centre when the incident unfolded. She said: "Apparently a woman had been locked in her car by the guy. 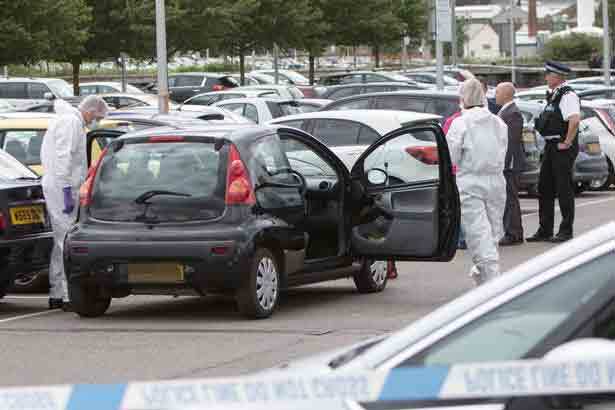 He's then come back to the car, got in the car and stabbed her and then slit her throat. "No-one could actually see the row that was happening because it was happening inside the car. "Someone heard the woman screaming and people were running over shouting at the guy. He was in a bit of state so people didn't want to approach him." Rosie said she watched as the suspect, dressed in a white vest, was detained by police in front of crowds of shocked onlookers. The mum-of-one added: "He was put in hand cuffs and put in the back of a car. "He was covered in blood and had a white vest on, but he was far away so I didn't see what he looked like other than that. "It was horrible. When you hear someone has been stabbed, because of whats going on at the moment, I thought it might be terrorism. "I think people were quite panicked." Other people in the area took to Twitter in the minutes after the alleged attack. A man called Jordan posted: "Stay away from dockside there's like 8 police cars and a man just sliced a woman's throat." Another wrote that "a lady really just randomly got her throat slit open at dockside", adding: "Wtf is going on with this world". Police have sealed off part of the car park, while a green tent has been erected. Firefighters, forensic teams and ambulance crews are also at the site. An air ambulance was seen circling overhead, looking for somewhere to land. A Kent Police spokesman initially said officers were attending the dockside area in Maritime Way following a report of a serious assault. "Officers were called at 11.03am on Thursday 29 June 2017 following reports a woman had been injured," he said. 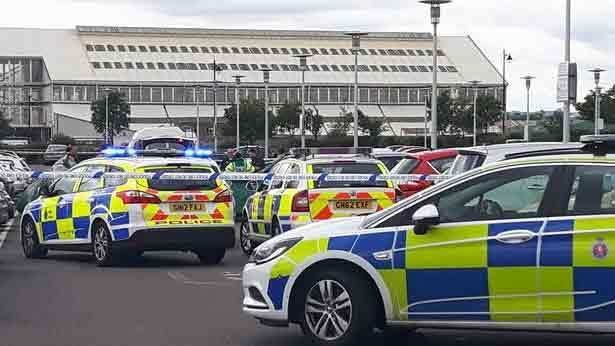 "A man has been arrested at the scene in connection with the incident. "Officers do not believe there to be any further threat to the public. "Officers remain at the scene carrying out enquiries." In a later statement, the force added: "The woman, believed to be aged in her 20s, suffered injuries consistent with a stabbing, and died at the scene. "Her next of kin has now been informed." "Officers remain at the scene while they carry out enquiries. Members of the public are advised that much of the car park has been reopened. "It is anticipated the remaining area will be open this evening." The nearby Odeon cinema had earlier laid on refreshments for people stranded by the incident. Anthony Sutton, manager of Dockside Outlet Centre, said: "We are liaising with and assisting the police to minimise disruption." Kent Fire and Rescue Service said it responded to an assistance call from Kent Police. A spokeswoman referred Mirror Online to the police for comment. 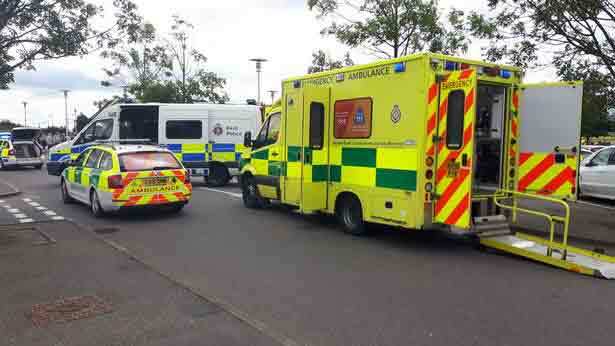 A spokesman for South East Coast Ambulance (Secamb) said shortly after noon: "We responded to reports of a serious assault at around 11.10am this morning. "Four ambulance crews remain at the scene."